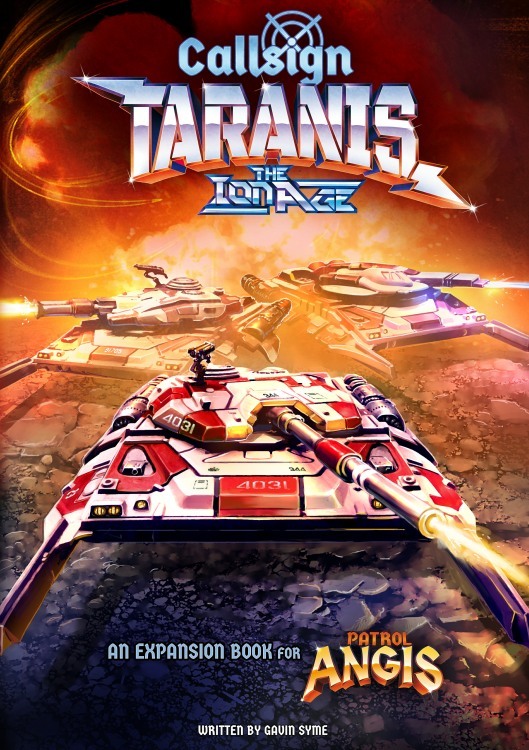 Callsign Taranis, the new expansion for Patrol Angis, is now available from The Ion Age. This new book gives your troopers a roof over their head and a way to not have to walk from place to place. That's right, there's new vehicles as well as rules for buildings and other defensive fortifications. Callsign Taranis also takes the game from the small, skirmish-sized game and brings you bigger engagement levels. There's rules for both solo play as well as standard against actual living foes. So when you're home and your friends can't come over, you can still get your 15mm sci-fi gaming groove on.